All grooming is done by appointment only. Please try to call(529-5075) a week ahead as our services have been very busy. Even for nail-clips it is best to call ahead to insure we’re able to service your pet before driving to Peaches’. You can e-mail us directly through this website’s contact page, letting us know your preferred date and time, so we can get back to you with your confirmed appointment. Take advantage of our Pre-Booking Program to get the dates and times that are best for your busy schedule year round. Peaches’ Parlor will give you a friendly courtesy call the day before your scheduled appointment to confirm it. For adult dogs, it is best to hold feeding them the morning before your appointment and to please walk them well before coming. 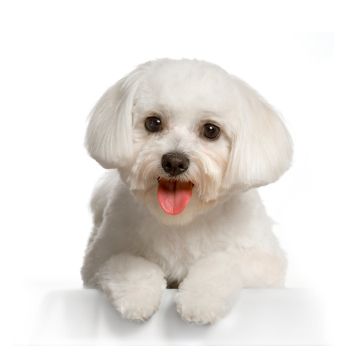 This provides a more comfortable stay for your dog and allows our groomer to service your dog better. Remember to please take advantage of our convenient, weather protected area for dropping-off and picking-up your pet—no need to walk through busy stores or across large parking lots in inclement weather. 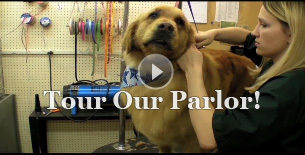 You’ll find the Peaches’ Parlor personnel ready to greet you and your pet.